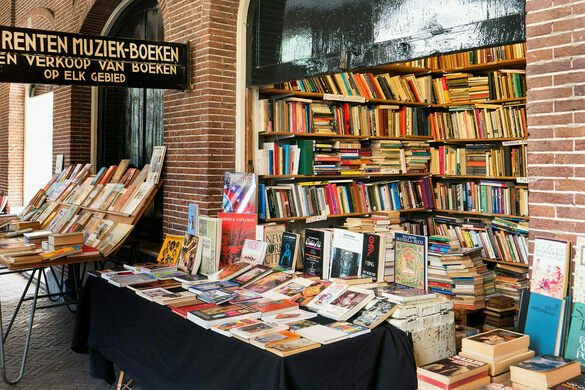 An ancient passage filled with stalls selling used books, once frequented by Vincent Van Gogh. 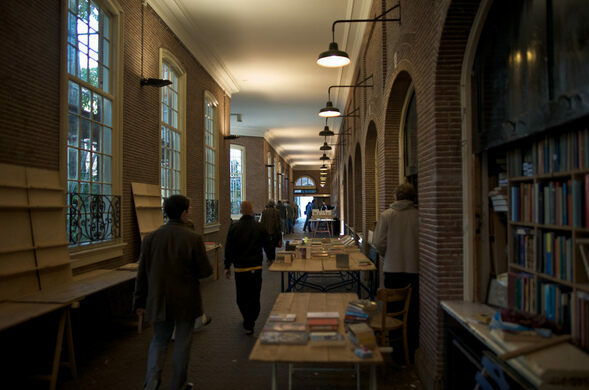 Now part of University of Amsterdam’s law faculty, this ancient passage filled with stalls selling used books is filled with many ghosts, from cholera patients to Vincent Van Gogh. A beautifully eclectic mix of architectural styles. Established in 1638 to battle the Black Death, Hortus Botanicus Amsterdam is a treasure trove of rare flora. If you enter Oudemanhuispoort through the Oudezijds Achterburgwal side, you will get one allusion to this passage’s past. Overhead, chiseled into a pediment, is a set of spectacles referring to old age. Indeed, “Old Man’s House Passage” once acted as part of the Netherlands’ first senior citizen home back in the 18th century. Now part of the University of Amsterdam, it actually has a 400-year-old history that has seen it be home to a convent, a hospital for cholera victims, an arts academy, and a museum that formed the basis for the Rijksmuseum and its famous collection of Rembrandts and Vermeers. 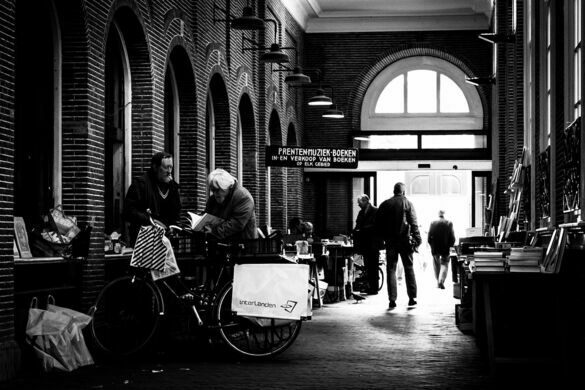 Since 1886, the stalls of this covered walkway have been selling second hand prints, sheet music, and books. The stalls are currently run by an older generation of fellows—many with spectacles—who are only too willing to share their knowledge. Perhaps some even have secondhand stories about Vincent van Gogh browsing here for inspiration. For example, it’s been said that it was here that everyone’s favorite earless genius found the Japanese prints that he found so inspiring, changing the course of Western art. Tables of secondhand books fill the inner courtyard of this 17th-century stock exchange. The world's largest secondhand book market is a haven for bibliophiles and bargain hunters.